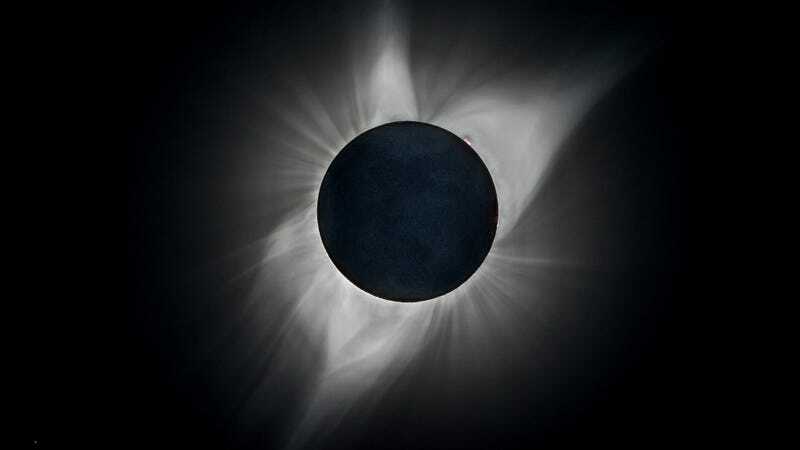 A total solar eclipse by itself isn’t so unusual—the moon shades the Sun every 18 months, from the view of somewhere on Earth. But this year’s “Great American Eclipse” was special simply for how much inhabited land it covered, crossing the length of America from Oregon to South Carolina. And that led to some amazing new scientific observations. Researchers at MIT’s Haystack Observatory and the University of Tromsø in Norway observed the eclipse’s strange effects on atmosphere using 2,000 sensors receiving positioning satellite data. They were able to confirm a theorized behavior so small that it hadn’t been detected before: atmospheric “bow waves,” like the outermost waves of a ship’s wake. These waves tell an important story about the complexity of Earth’s atmosphere. The Sun’s heat provides energy to Earth’s atmosphere. The Moon passing in front of it causes a noticeable decrease in the energy in the shadowed zone. The shadow travels fast enough that it should create a bow wave in the atmosphere—the same idea as the trailing v-shaped waves left behind by boats traveling in water. The eclipse’s bow wave was too slight to detect—until now. Past attempts to detect these waves didn’t gather nearly the amount of data that the August 21 eclipse offered. This time, the researchers had 2,000 receivers placed all over the U.S. gathering data from positioning satellites. These sensors could detect changes in the ionosphere, the part of the atmosphere with lots of electrically charged particles. They revealed the atmospheric ripples over the Central and Eastern U.S.
There’s no need to worry about these atmospheric changes—they’re not nearly as intense as solar weather, which could damage our electrical grid and communications systems, explained Zhang. The atmosphere is complex and has many of regions with both charged and neutral particles. Scientists are always looking to understand how these parts of the atmosphere connect with one another. Watching these waves propagate and dissipate through the atmosphere furthers our understanding of that interconnectedness.